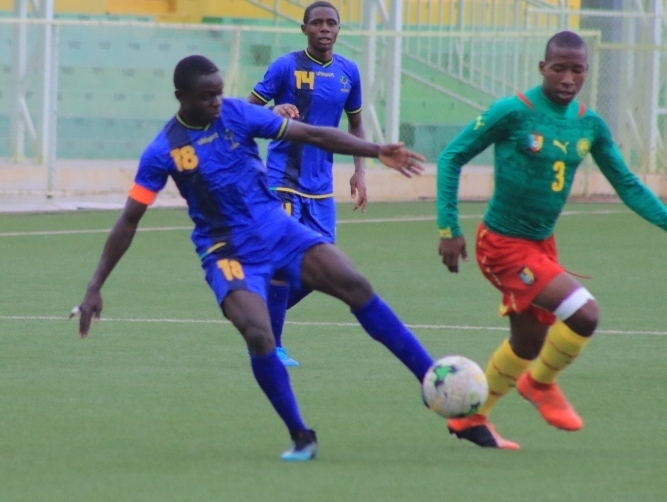 The Serengeti Boys of Tanzania got off to a bright start as they defeated Cameroon’s Baby Lions 2-1 on the second day of the FERWAFA Under-17 invitational tournament staged on Monday at Stade de Kigali. Cameroon’s Baby Lion continued to apply a more physical approach before the Serengeti Boys star striker Kelvin John limped out injured. John Edmund should have made it 2-0 a few minutes to half time but blasted wide. In the second half the Cameroon team pressed and attacked in numbers to level matters through Yannick Noah after 52 minutes. The Baby Lions who beat Rwanda’s U-17 3-1 in the first match continued to press, but the Serengeti Boys battled well to hold. After another Tanzanian player John Edmund had limped off, Arafat Swakali made it 2-1 for the Serengeti Boys after two minutes of added time. “Although we have picked some injuries, I am happy with the way my boys battle today. We need to keep pressing to give our opponents no space,” said Tanzania’s Coach Oscar Mirambo after the game.